Bespoke touches and slowly worked details are at the heart of the Klassik range. Curved arms and rounded oak legs create and elegant and considered piece capable of adapting to a variety of environments. A high backrest provides generous back support, and the compact design works in space conscious areas. 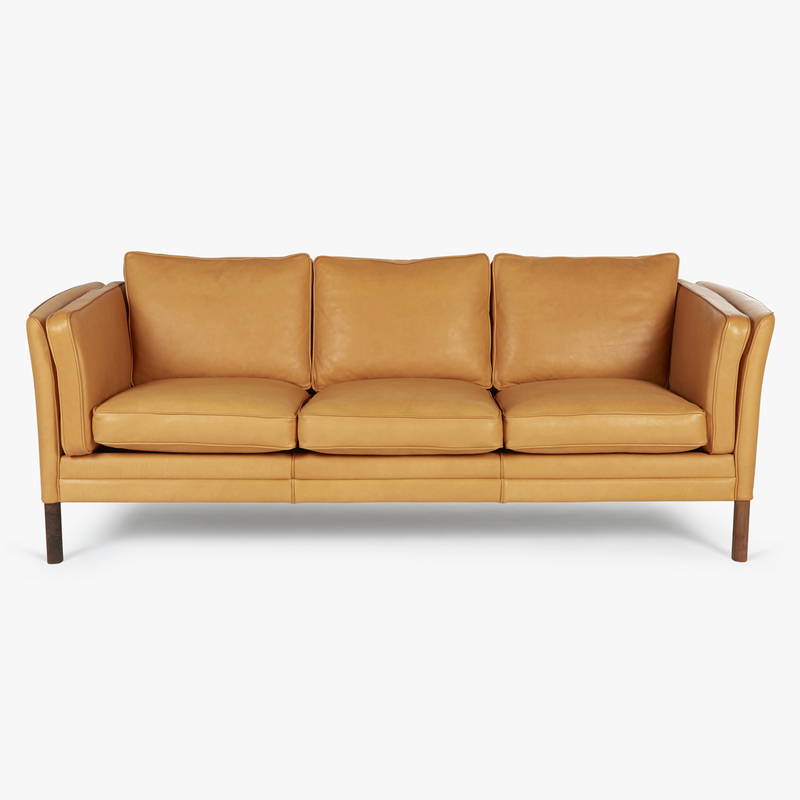 The Klassik range comprises of a sofa, easy chair and footstool and is available in a range of upholstery options like fabric or soft elmotique leather that ages beautifully with time. Seat cushions, cold foam inner with duck feather wrap, arm cushion cold foam, back cushion 100% duck feather. Seen here in Tärnsjš Wild Nature Chestnut and walnut frame. Price is for upholstery pictured. Alternative upholstery options available upon request.